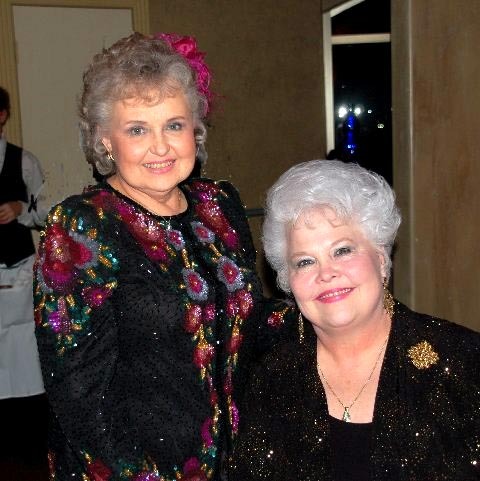 Charlotte included this glam photo of herself and Gladys Marie Payne Bohac, with the caption: "Gladys and me, all decked out at my company Christmas party". Be sure to read Gladys' and Charlotte's biographies, as well as taking a look at their shared photo album entitled "Holiday Expressions". Their joint projects are also featured in the post entitled "Christmas Projects".